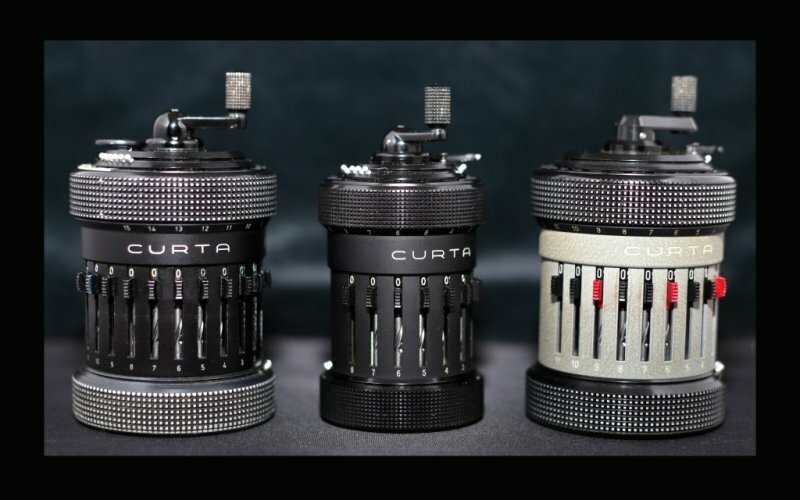 A very nice family from Kent brought me the missing Curta for my collection of mint conidition calculators. 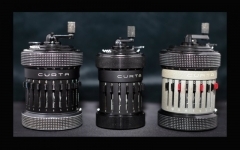 The grey Type II on the right is the latest acquisition for the Scientific Artist and sits proudly next to the early Type I in the centre and the early (black) Type II on the far left. A Difference Engine for the pocket! No batteries required and 15-digits of precision, it could still outperform the early electronic calculators in accuracy – how cool is that? Previous PostThe mini-WASP array starts delivering the goods at the New Forest ObservatoryNext PostLearn something new every day! High-speed flash lesson for today.